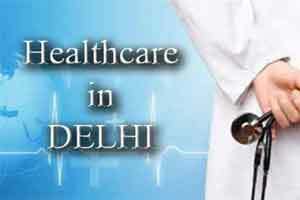 New Delhi: Showing deep concern over the availability and retention of doctors and other medical staff in the government hospitals at the capital, Delhi Health Minister Shri Satyendra Jain has proposed a number of developments for the resident doctors and interns working in the government hospitals of the capital. Senior Residency which is limited to a maximum of three years, may be extended upto a maximum of another three years in those hospitals, where the new vacancies are not being filled. Also, to provide more opportunity, govt is mulling over the proposal of making senior residents, having completed three years of residency directly eligible for positions Assistant Professors in hospitals where vacancies exist. To deal with the shortage of experienced doctors as well as to enhance quality, government would focus on removing them from non-clinical duties as allocate them only clinical work. Minister also promised the junior residents and interns that efforts will be made in the future to prevent their exploitation due to extra work over sample taking, filing, and running around. Government is mulling over introducing a salary plus incentive scheme instead of only salary scheme in government hospitals. This would be aimed at providing more opportunity to those doctors who wish to work more in government hospitals, and reduce the disparity of pay between government and private sectors. Shri Satyendra jain also said, that efforts will be directed to appoint younger Medical Superintendents at government hospitals, say PG+ 10 years experience, or UG plus 15 years experience. Efforts will be directed to increase the PG seats in the medical colleges of the hospital. Also, the minister proposed that soon 50% of DNB seats may be reserved for Delhi doctors. The minister has also invited feedback and comments from the medical fraternity over these proposals, asking the organisers FORDA to coordinate with the feedbacks.